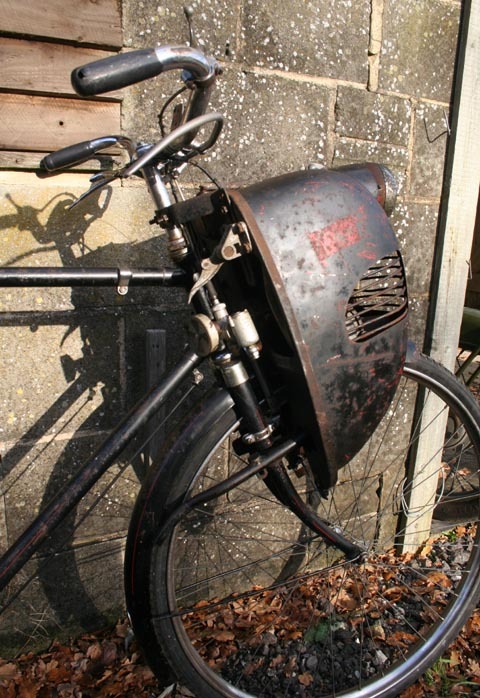 The Cymota has always been one of my favourite cyclemotor oddities, because of its beehive style engine cover. However, it’s a most ungainly affair and, like most front-end attachments, is a little heavy for the front of a bicycle (though you get used to it after a while). It was originally mounted onto a Phillips bicycle, but I’ve since refitted it to this Raleigh Superbe, which handles the Cymota well. The Superbe is in excellent condition, respelendent in its original green paint. The bike has been mechanically restored. This Cymota is MOT’d and taxed, but is missing its exhaust. 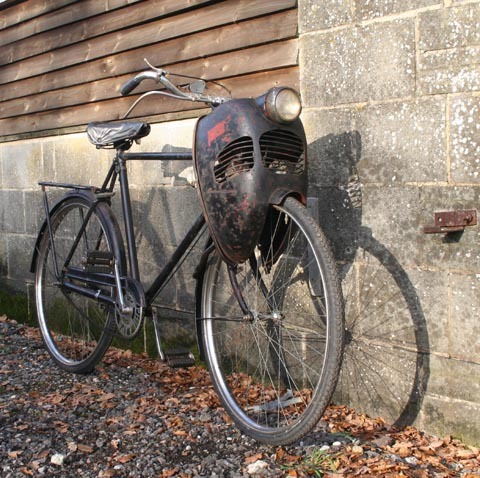 The Cymota was a copy of the VeloSoleX 650 (45cc, 0.3 hp) and was made by Cymota Motor Components Ltd at Leamington Road, Erdington, Birmingham, UK, between 1950 and 1952. 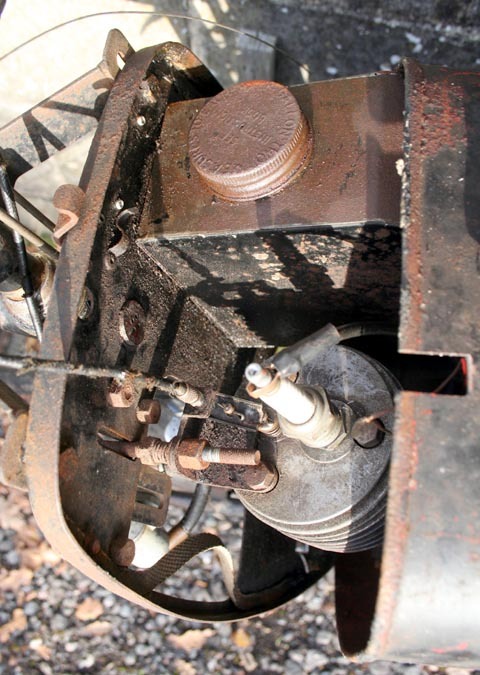 The engine was covered by a sheet-metal cowling, a 1.7 litre fuel tank is mounted above the engine, a Miller magneto ignition fitted to replace the French SEV version and an Amal 308/12 (12 mm) carburettor fitted to replace the French version. Blue Star Garages appeared as the sole concessionaires, selling it as a clip-on cycle motor, its manufacturer given as Cymo Ltd and it was advertised as “The sensation of the nation”. Only about 200 Cymota units were sold. Although most of Solomon Clifford Joseph’s business dealings are shrouded in mystery, it’s believed that Clifford built the Cymota. This engine was reputedly built by Cymo at Leamington Road, Sparkbrook, Birmingham but is shown in some histories as being built by Clifford Motor Components Ltd. It is possible of course that Cymo were Clifford Motor Components. It is interesting to note that CYMO was the telegraphic address for Hercules Cycles at Aston, but whether there was any connection with Hercules is not known. 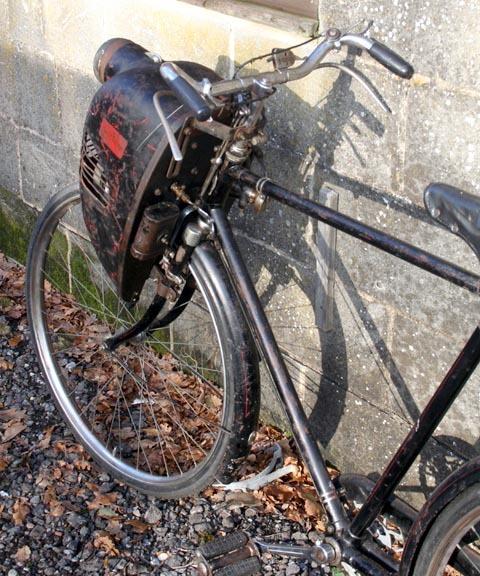 The heavy Hercules cycles would have been ideal for fitting the engine to; but perhaps both companies needed to see if the engine was successful before they got involved in marketing an optional bicycle with engine already fitted? 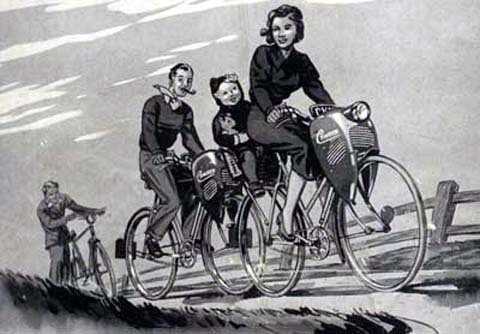 Bear in mind that there were purchase tax concessions for buying a cycle-attachment unit on its own and fitting it to your own cycle; and the engine certainly is very easy to attach. Joseph had been director of New Imperial Motorcycles. That company was advertised for sale by the Receiver on the 18th November 1938, and was subsequently bought by Jack Sangster, who then owned both the Ariel & Triumph motorcycle companies. A year after they went into liquidation, Joseph’s new company – Clifford – bought it, and turned the factory over to war production. New Imperial Ltd are shown in Board of Trade records as having changed their name to Clifford Aero & Auto Ltd on the 6th October 1939. Clifford Aero and Auto produced small parts for the Lancaster bomber, and engine valves for the Rolls Royce Merlin engine which was used in both the Spitfire and Lancaster. Around 1947 Clifford Aero & Auto began manufacturing forklift trucks. It is believed that Clifford Aero and Auto continued with war work (aircraft parts) until around the end of 1945. In1946 Clifford Aero and Auto put a cultivator into production fitted with a 4 HP JAP engine, steel land wheels and spring tines. By the end of that year they had made just over 2200 Clifford Rotary Cultivators, as the first ones were known as until they became the Model A1. This Cymota has a DVLA registration document (V5C). Once an exhaust has been located, it’s ready for you to use. 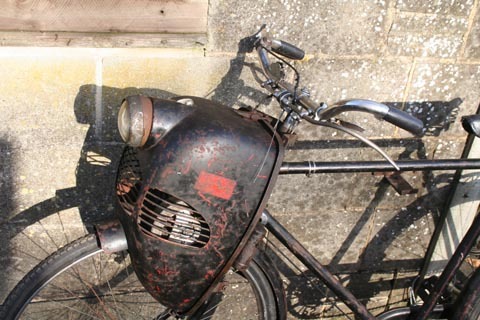 When mopeds turfed out cyclemotors as the vehicle-of-choice in the mid-fifties, thousands of cyclemotors were relegated to garden sheds across Great Britain, there to be found in the following years by youngsters ready to learn the art of motorcycling. So chaps of a certain generation cut their motorcycling teeth on beasts such as this. 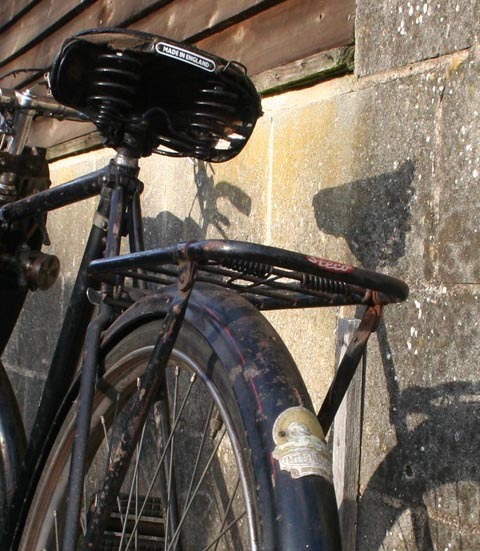 A clip-on 57-year-old cycle attachment such as this is a very affordable introduction to vintage motoring. 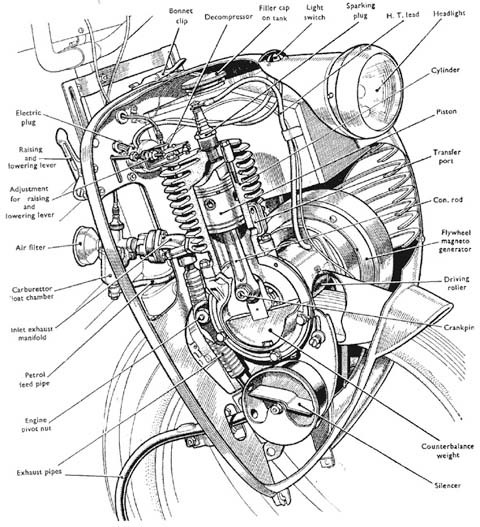 The engine is simple in construction and operation, and obviously a bicycle requires only basic mechanical skills to maintain and keep on the road. These curiosities represent an entire lost generation of motorcycling history; but the grandkids of those ‘pioneers’ are at last starting to discover the joys of cyclemotoring all over again. Wouldn’t this make a superb present for someone keen to own and run an obscure example of Great Britain’ s motoring history?